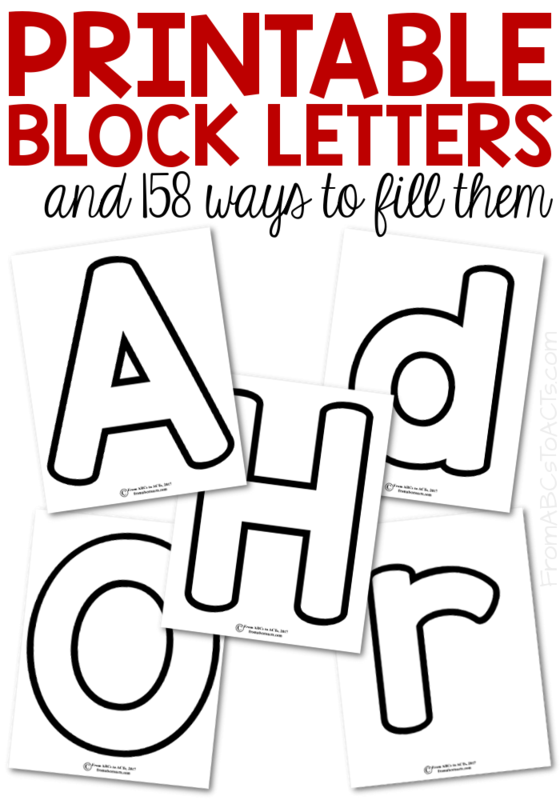 When we first start introducing the letters of the alphabet in our home preschool, we like to print off a few copies of large block letters and find various ways to play with them. We usually laminate one so that we can use it as a play dough mat. On another, we use either crayons or markers in all of the colors of the rainbow to trace the letter inside the outline, or we use them as a template for some of our alphabet letter crafts, but one of our favorite things to do with these giant block letters is to fill them with objects that begin with that letter. They are so incredibly versatile and can be used with so many different materials and today, we’ve put together a list of some of our favorites! Looking for more fun preschool ideas? Check out our best selling preschool printable bundle!